Clifty Falls State Park is one of southern Indiana's scenic gems. Located right by the Indiana-Kentucky border, the park covers a 300-foot deep canyon that was carved out over the course of millions of years by Clifty Creek. The canyon is home to four massive waterfalls; Clifty Falls, Little Clifty Falls, Tunnel Falls and Hoffman Falls. 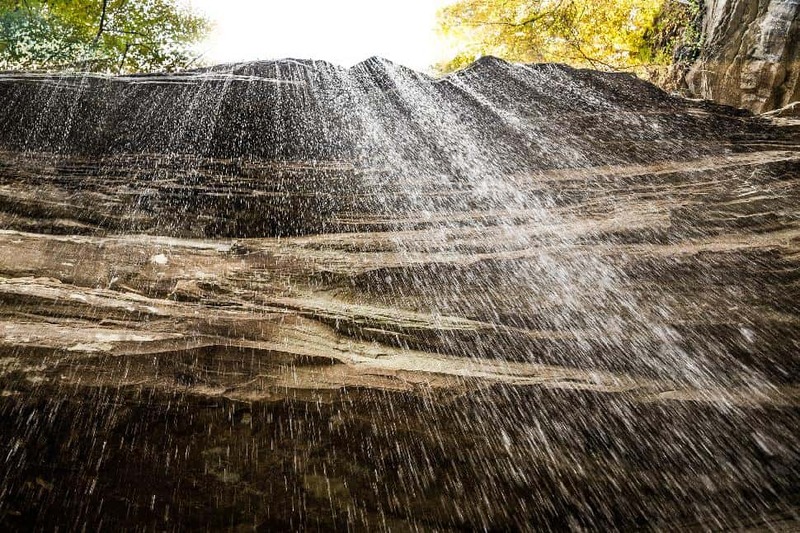 While the rugged landscape provides challenging hikes over the course of the park's ten hiking trails, the major attraction has always been the waterfalls. 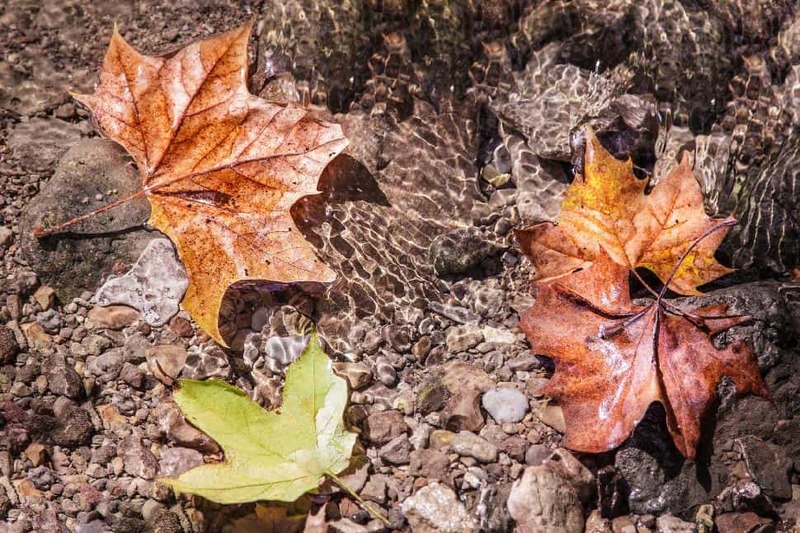 Visitors will have to trek a few of the park's interconnecting trails to see all the waterfalls, but it is possible to get a glimpse at everything this small state park has to offer in just a few hours. While the scenery in Clifty Falls State Park makes a visit well worth it, the park is a bit frustrating in the fact that their trails don't have names. Instead, they are labeled one through ten. This makes them somewhat more difficult to keep track of as they are significantly less memorable. Clifty Falls State Park sits just two miles outside of the small town of Madison on the Ohio River. Heading west out of town on the aptly named West Street, hikers should take a left on IN-56 W. After travelling for just over a mile and passing the Madison Elks Club, take a right into the Clifty Falls State Park parking lot. To see each of the four waterfalls, hikers will need to trek one short loop trail before heading down two trails that connect and show off the last two waterfalls before heading back. While the numbered trails make them less memorable, the trails in the park are thankfully well labeled so visitors can get where they are going providing they can remember the numbers. On the left of the parking area after entering through the park's North Gate, visitors will want to head towards the Trail 7 trailhead. The trail starts off heading down a long series of steps that hug the side of a huge limestone ledge as the trail heads into the canyon. After the first set of stairs, visitors get a peek at the first of two waterfalls along this route, Clifty Falls. This 60-foot waterfall is one of the most unique waterfalls in the state as it falls down what looks like tiny stair steps or the pages of a book until it makes the drop into its serene pool below. Those visiting during a particularly wet time of year will be in for a real treat when the water falls in a solid white sheet. For visitors that want to continue on to Little Clifty Falls, keep right along the limestone ledge. The trail travels yet another set of stairs which finally ends right at Little Clifty. 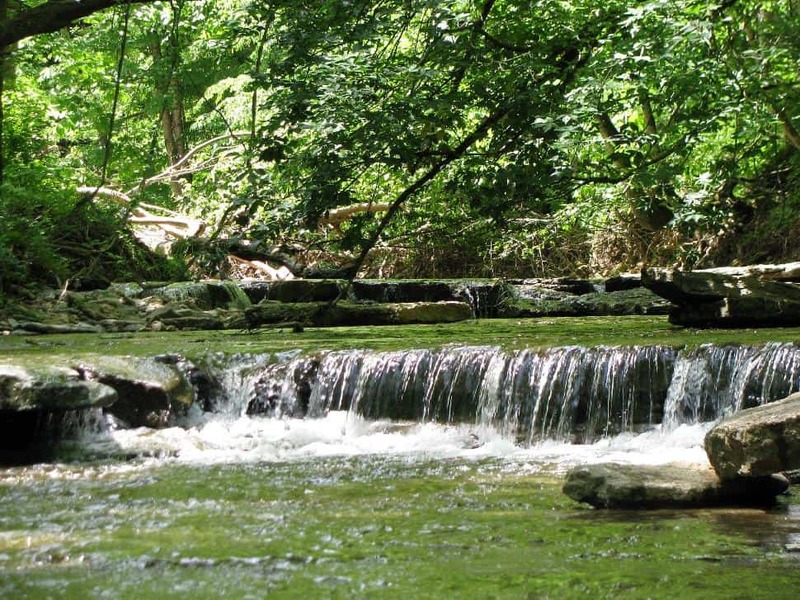 While it may be called "little," the Little Clifty Waterfall is actually the same size as the Clifty Falls. It drops down 60 feet, but in one straight shot opposed to Clifty's sheets of water. At this point, visitors can turn back and climb all those stairs again, but who could resist that tempting bridge that leads right over Little Clifty? Crossing the bridge and flowing the trail leads to a short loop that bypasses all the stairs leading to some easier hiking. Across the bridge, take a right to get excellent views of the falls as well as leading past the Cake Rock landmark. Aside from the falls, Cake Rock is a highlight of this loop as it looks like a piece of cake balancing on a rock. While this leg has a slight incline at times, it eventually comes out back at the parking lot. Trail 5 leads to Tunnel Falls. Visitors can either drive to the nearby parking lot or take the more fun route through Trail 2 that will eventually connect to Trail 5. Trail 2 runs through a creek bed which means wet hiking and it is occasionally closed when the creek is too high. However, it is one of the most scenic areas on the park and the Trail 2 /Trail 8/ Trail 5 junction is well marked. For those who took Trail 2 down, after taking a left at the junction, switchbacks and stairs carry them out of the creek bed to the Oak Grove shelter where hikers that drove to the trail will end up as well. From the shelter, head up to Trail 5. Compared to the previous waterfall trail, Trail 7, Trail 5 is much more rugged. Hikers are faced with an uphill hike that is primarily composed of wooden steps and uneven stone steps for most of the way. The trail appears to dead end at a cave that is partially covered with boulders, but a little climb will lead hikers into the cave. This cave, named Brough's Folly was created as part of a railroad project. When it failed due to lack of funding, the cave was left unfinished, which is why it seems machine made in some parts and completely natural in others. Upon entering, those over 5 feet tall will have to duck for a bit until the cave gains some height. Finally making it through the tunnel, visitors are faced with Tunnel Falls. This waterfall, like its name suggests, is filtered through a limestone tunnel where it shoots out water that falls roughly 83 feet into the deepest parts of the canyon making it the tallest waterfall in the park. Like with the Tunnel Falls, there are two ways to get to Hoffman Falls. You can hike there or drive there, but both require backtracking on Trail 5. For those that want to hike there, instead of heading back towards Trail 2 from the Oak Grove Shelter, keep straight and follow Trail 5 through lush forests until it dead ends into Trail 4. After taking a right on Trail 4, it is only a half mile to the spur trail that leads to the Hoffman Falls. This is the easiest trail in the park not only because of its short length, but it is completely level and it crosses several beautiful creeks along the way. In terms of size, Hoffman Falls is the middle child with its water falling 78 feet to the ground. It is on par with Clifty Falls in terms of beauty, though. Hoffman Falls tumbles down in one thin line over a ledge with lined limestone in the background. There are also trails that lead to the floor below Hoffman Falls, which offers the best view. 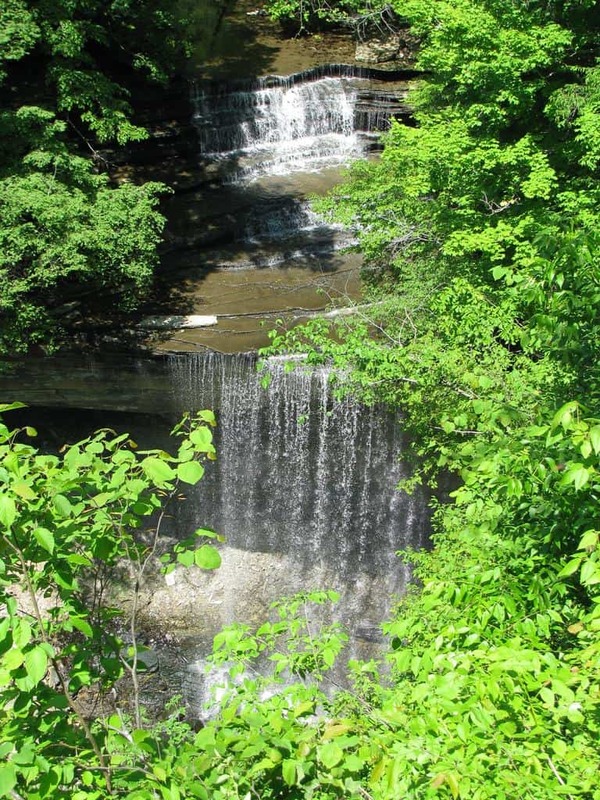 Have you hiked Clifty Falls State Park?